Christmas can be a wonderful time of year when your children are little! Then they hit that age when they start questioning whether Santa is real or not. This can be an awkward time for the both of you! As much as you do not want the magic to end for them, this can open a whole different opportunity in the way you celebrate Christmas! One of the best things to do as a parent is to remind your child what Christmas is really about. There can still be a Santa for them as long as they have love in their heart for all those around them. Remind them that Santa is not only for the young, but also the old. For the older people, he is not a person, but is instead a feeling deep in their heart. He stands for the love that people feel for each other – he stands for the magic that is in the air at Christmas! Also remind them that Santa represents everything that they should strive to be. He represents traits such as love, happiness, unselfishness and above all, the desire to share all of these things with the people that surround him. Most importantly, let your children know that Santa is not just present at Christmas time, but rather something that can be kept in their heart year round. One of the best ways to convey this idea with your child is to write them a Christmas letter that explains all of this. The letter is a great way to put down your feelings of the importance of Christmas and the meaning behind Santa. The letter will be something that your child will cherish. It might even become a source of comfort to them when they are older. Once the secret is out start getting them involved in community things where they can be Santa for a needy family. Also, let them be a part of playing Santa in with the family. This will help to strengthen the idea of the true meaning of Christmas with them and they will begin to see how Santa really works. And even though a child may not believe in Santa anymore, there is nothing wrong with still keeping his spirit alive. Still give them a present from “Santa” and when they look at you, deny that you had anything to do with it. They may know better, but it will still keep the magic of Santa from completely leaving! As Christmas time approaches, spend some time thinking about how you can help vitalize your kid’s imagination. In a world where kids are often faced with stark reality, helping their imagination run wild with Santa remains healthy and important. Christmas is one time a year where all the magic that existed in our own childhoods is allowed to come back to life – shining, bright and new! Helping foster your kids’ ability to see the magical world around them is one of the best gifts you can give. Below are some of the best reasons to help your child believe in Santa and everything the holiday season has to share each year. Many of the world’s most influential individuals are people who had a dream and made it a reality. Allowing your child the freedom to express themselves through imagination allows their brain to continue developing. Leaving room for flights of fancy helps set your child up to be a creative thinker who can visualize solutions for the rest of their life. Almost everyone can remember the time of playing pretend. Pillow forts, talking to stuffed animals and games outside as crazy as you could think of were the part of every kid’s day when we were all locked outdoors by our parents. Children need an outlet for their brains. Whether it’s Santa at Christmas or the Tooth Fairy when that first piece of ivory falls out, allowing children the freedom to imagine is a healthy and natural part of life. It is important to allow both halves of your kid’s brain to develop. While structured learning experiences are important to creating a thinking adult, leaving time for your kid’s imagination to run wild is equally important. Without the creative portion of our brain receiving stimulation the logical half suffers as well. The continued growth of passive participation in many children’s activities has a negative effect on your kid’s ability to think. Being spoon fed is well and good sometimes, but other times we need to create our own thoughts and solutions to actively live in the world around us. Making sure your kid is spending time playing on their own ensures they aren’t blank slates absorbing the latest programming. Whether you’re learning about the history of ancient China or reading a book written decades ago, your imagination allows the pieces of our history to come alive. Most of our learning involves imagination. From theory to practice, there is a lot of mental creation involved. Helping make sure your child has an active thought process will set them up for success in whatever arena of life they choose to pursue. Worries continue growing about the effect the massive amount of screen time many children are exposed to daily. Using digital devices as babysitters has become almost a norm. While we all watch the effects these devices have on our smallest members of society, the results seem too disturbing for many. Children who are prone to fly into rages or seem disinterested in the world around them are more common than most like to admit. Help make sure your child is able to cope with the reality surrounding them by promoting healthy play – free from electronics. Today, it is more important than ever for young children to spend time exercising their imagination. In a society that continues being rapidly taken over by iPads, smart phones, social media and ever more realistic video games, leaving time for your little ones to flex their brain muscles is still universally recommended by child development professionals. Allowing your kid’s natural creativity to grow and explore the world around them is an important step in developing their reasoning, logic and problem solving. While your kids may complain of boredom sometimes, it is important to leave their brains room to create on their own, outside of the endless wave of digital stimulation. Whether it’s getting excited about writing that letter to Santa or searching for the eggs left behind by the Easter Bunny, it is important to allow a child’s imagination to grow with their body. You may be amazed what they come up with! Christmas is a magical time of year. The children are excited to be visited by Santa and cannot help but wonder what he will bring them. However, for the older siblings Christmas might have lost a little magic. They have reached that age where they realize that Santa isn’t a real person, but that can create some wonderful opportunities to include in the Santa experience. Remind the older siblings what Santa represents. That he may not be a real person, but his spirit of giving, love, and wanting to help mankind is what Christmas is all about. Enlist their help in a service project that brings toys to needy children who may not get a visit from Santa that year. Include them on Christmas Eve with playing Santa. Let them help with simple things like filling the stockings and wrapping Santa’s presents. Have them sprinkle fake snow around the house and the trudge through it in oversize boots to make Santa footprints. The little ones will love waking up and seeing that Santa has been there, and the older one will enjoy making the prints. Let them eat some of Santa’s cookies and drink some of the milk. Also have them nibble on the carrots to make it look as though the reindeer munched on them. Have them write a thank you note from Santa for the milk, cookies, and carrots. Leave that note out for the little ones to see on Christmas morning. These little personalized letters from Santa will mean the world to their younger siblings. If you have a fun holiday tradition, like hiding a pickle ornament on the tree for the kids to find that morning, let the older ones help with it. Encourage them to still write a letter to Santa. Having them write a Christmas letter to Santa will show the little ones that even though they’re older, that they still believe in Santa and it helps to keep the magic alive. 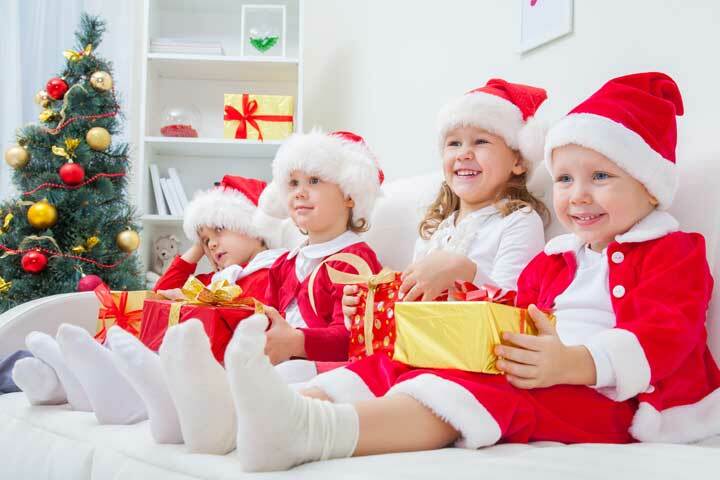 Let them assist with choosing a present from Santa to give to their younger siblings. Have them leave out something small that Santa forgot, like a key or mitten, for the younger children to find. Have them go outside, and with their fists, make reindeer prints in the snow. Allowing older children to apart of the Santa experience will help to keep Christmas magical for the younger siblings while letting the older one enjoy a more grownup version. Doing this will start to create new and fun ways to celebrate Christmas. The holiday season is quickly approaching. It’s not too early to order a personalized letter from Santa or gift package from Santa. Order now and receive 10% off by using the code topsanta2015 when checking out at www.topsantaletters.com. Halloween Contest – Win $100! Top Santa Letters is having a Halloween Costume Contest. To enter, submit a photo to our Facebook of your loved one in their Halloween costume for a chance to win the grand prize. If your photo gets the most votes by November, 5 2014 midnight (PT), you will a win $100 Visa Gift Card! 2nd place will receive a FREE Reindeer Package. 3rd place will receive a FREE Snowman Package. Let’s see those cute princesses, scary monsters and funny family costumes! Enter here for a chance to win. The holiday season is quickly approaching. It’s not too early to order a personalized letter from Santa or gift package from Santa. Order now and receive 10% off by using the code topsanta2014 when checking out at www.topsantaletters.com. The sudden chill in the air and leaves changing colors signal that fall has arrived. Older kids are back in school, where they’ll enjoy fall decorations and study the Pilgrims’ role in American history, but what about little ones at home? Even very young children realize that fall is a time of change. 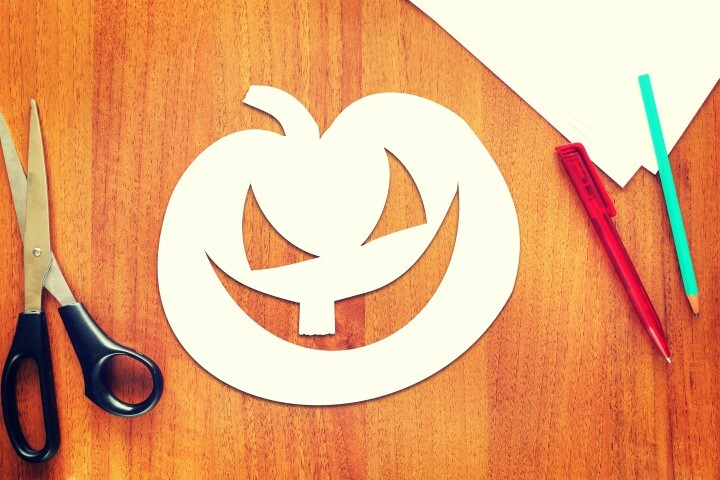 Why not plan some fun fall family activities? For young children, three fun categories can provide hours of activities. Exploring the plants of fall provides tactile activities that help young children learn. They can see, taste, smell and touch nature’s bounty and, in the process, learn about what their ancestors ate and how they lived. Many communities have farms that open to visitors this time of year, with corn mazes and pumpkin patches to roam. Picking apples at a local farm can be lots of fun as well. If the family gathers more than is needed for home, excess can be dropped off at a local homeless shelter, providing another chance for children to learn about how others live and the value of helping those in need. A day at home can be spent gathering pretty, colorful leaves, drawing patterns on them and taping them inside windows. Making a scarecrow with old clothes and other castaway items found in the garage is a fun rainy-day activity. Children can use pumpkins, apples, pine cones and other fall items to decorate the house with their own personal touch. They can draw funny faces on pumpkins and carve them, with an adult’s supervision. Very young children can “help” by gathering the pulp for a pie as an adult carves the pumpkin. Pine cones become decorative “owls” by gluing on googly eyes and felt feet and beaks. Children can paint a fall tree picture using wine corks dipped in red, yellow, orange and brown paint. Young children enjoy remembering the fun experiences they’ve had. As they participate in their fun fall activities, they can gather items for a “fall memory book” that they can put together and enjoy all year. Colored construction paper stapled or taped together makes a great book that children can use for pasting leaves and prints of pictures from all their fun activities. Hi, I’m Sparks! I’m an elf here at the North Pole. Most of the year, my elf friends and I are hard at work making toys for all the good boys and girls in the world, but we get to relax a little bit in the summer, just like the kids do. This summer we’ve been taking advantage of all the fun things to do around our home and enjoying our vacation without worrying about travel. And what a terrific time we’ve been having! It’s all about the toys here at the North Pole, but that doesn’t mean we have to build them every day. Someone’s got to let Santa know what toys are fun and which ones aren’t. That’s where we elves come in. We’ve all been play-testing a pile of new toys that might appear under the Christmas trees later this year. We spend days playing with each one, and get to tell Santa which ones are the most fun. Last week everyone was excited to watch the Reindeer Games. It’s an annual event that happens in the middle of each summer. The reindeer have all sorts of competitions, such as highest leap into the sky or pulling the heaviest sleigh. We all have our favorites, and we’ve even been wearing t-shirts with the faces of the Reindeer Games stars. The rest of the time we’ve been having fun just like the boys and girls do when they’re out of school. We climb trees, although ours are Christmas trees, and it’s kind of scratchy up there. We love to lay out on blankets after dark and stargaze. The reindeer get to see all the stars when they fly, but we elves are usually in bed after dark, so it’s a treat to stay up. We’ve also been eating some great fresh fruits and vegetables. Milk and cookies are nice, but it’s great to take a healthy break! It’s almost fall, so our summer vacation is coming to an end. It’s been a nice break, but we love what we do during the rest of the year. We’ll be going back to toymaking starting tomorrow, singing happy tunes, creating gifts and helping parents, help elves, help Santa to create Santa letters for children around the world. Give Your Child Something to Brag About! If you ordered from Top Santa Letters last Christmas you probably remember the excitement it brought to your child. Give them something to brag about this year again with any of our custom packages. There’s still time to order but hurry, these wonderful gifts are going fast! Create a Good List Certificate for your child to show his/her friends! Kids feel so happy when they see that they’ve officially made it on Santa’s Nice List. Or create a personalized letter filled with details only Santa could know. There are so many options to make each letter completely unique. You choose the template, the letter, and the gifts you want in the package. You also receive a discount when you order at least 3 items. BUT WAIT, There’s more! Use the code topsanta2013 when checking out to receive an additional 10% off your entire order! On top of that, ALL orders come with 5 FREE print at home items! How exciting! We’re only 6 weeks away from Christmas. Can you believe it? Top Santa Letters has partnered with Apple Tots in the Hudson Valley to giveaway one of our Reindeer Packages, a $29.95 value. How neat is that?! Our reindeer package includes some of Santa’s favorite gifts that are sure to put a smile on your child’s face. Some of our favorite items are the personalized letter from Santa, a beautiful Best Decorated Christmas Tree ribbon and the Santa Stop Here window cling. This giveaway end November 17 at midnight so be sure to enter to win. There are multiple ways to enter giving you up to 7 chances to win the prize. Start the Christmas season with this wonderful giveaway! Enter now to win http://bit.ly/HHC6UI. It’s never too early to get a head start on Christmas shopping. Christmas will be here before you know it! What better way to kick off the Christmas season than by building a custom letter from Santa for your child. You will enjoy creating the letter just as much as your child will enjoy receiving it. Letters from Santa are a great way to keep the magic of Santa alive in your child and fill you with Christmas spirit. Letters from Santa can be completely edited. Choose from over 15 different letter templates including Baby’s first Christmas letter, Religious letter, New sibling letter, Older child letter, Family letter and many more. Each letter is signed by Santa Claus and sent from the North Pole in a green or red 9×12 envelope. Top Santa Letters offers many personalized gifts from Santa as well. Choose from 3 packages or create one of your own from Santa’s gifts. These gift items include, personalized Good List Certificate, magic reindeer feed, Rudolph’s bell, signed photo of Santa, best decorated Christmas tree ribbon and more. You can create packages with different items if you have multiple children for a truly unique experience. Kids go crazy with excitement when they receive their personalized package from Santa and you can feel joy too knowing you created it for them. Now you can also purchase a printable package. Each package comes with 10 print at home items including a personalized letter from Santa, and a personalized thank you note from Santa. These packages will be available even on Christmas day! No matter what gifts you choose from Top Santa Letters, your child will sure to be filled with joy when they receive their personalized gift items from the North Pole. They will be amazed that Santa knows such much about them will be so proud to know they are on the Good List. Create joy and make memories this Christmas with a letter or package from Top Santa Letters. Another bonus! Each order comes with free gifts and free shipping! Christmas is all about being with family, sharing and giving. What better way to incorporate all three of those than by giving a child a personalized letter from Santa? A letter from Santa has many positive advantages and can provide much more than just a great Christmas gift for that special child in your life. A Letter from Santa creates smiles, excitement and everlasting memories. Not much can compare to the excitement of receiving a letter in the mail as a child, except if that letter came from Santa Claus himself! Your child will be astonished to know that Santa not only exists but that he knows tons about your child. A letter from Santa is something your child will remember and talk about for years to come. A Letter from Santa encourages good behavior and reinforces sharing and giving. Receiving a Santa letter telling your child Good job with their behavior is quite possibly one of the highest accomplishments a person can receive during childhood. Children strive all year not fully knowing if they’ve made the cut to be on the official Good List or not. Now your child can know for sure that they have done a job well done. Most Santa letters also mention sharing with friends and family and tell about the importance of giving. A Santa letter helps maintain childhood innocence by keeping the belief in Santa alive. Your child will be amazed when they receive a letter full of information only Santa could know. Each letter mentions your child’s name, friends, achievements, city and more. Believing in Santa is a part of childhood innocence most of us wish we could get back. Help your child have lasting memories about Santa Claus by ordering your Santa letter now. Santa letters let child know they are special and thought of. Every kid likes to feel loved, especially by Santa and Santa letters help with that. Your child will forever remember the excitement they feel when they receive a personalized letter from Santa specific to them. Santa can even include a custom P.S. to your child. Build confidence and self-esteem in your child by creating a letter from Santa that both applauds and encourages good behavior and a positive attitude. Santa letters are personalized to your child and can make mention of accomplishments and goals your child has achieved. Sometimes it’s nice to have someone other than your parents tell you “Good Job” and a letter from Santa does just that. Make this Christmas a little more special with any of our gifts from Santa. Don’t hesitate to make a positive impact on your child now by ordering a personalized Santa letter from Top Santa Letters today!! “like” our Top Santa Letters Facebook page for chance to win a $50 gift card! We will choose one Facebook fan in January to be the winner. Good luck!